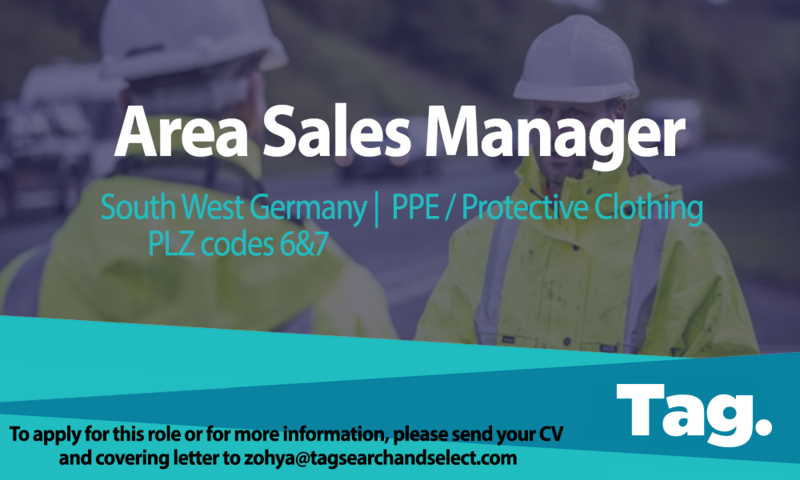 TAG Search and select are working in partnership with a global, well-established protective clothing manufacturer to find them a specialist area sales manager to join their successful sales team in the South West of Germany. Please see job brief below. To sell a full range of products through developing business with customers, prospects and suspects, distributors and end users, within a defined geographic area in order to meet the fixed sales targets. Actively participating at the national and international sales meetings through commenting on the sales budgets, new and existing products, etc. Work together and open communication with other sales managers in Germany, AT/CH, etc. Create year after year a profitable sustainable growth of turnover, number of projects, number of customers, margin, within the defined area combined with excellent customer relations. Create enthusiasm throughout the whole organisation in order to achieve the set goals.